If one your main skin concerns is uneven skintone and dull complexion, and you hate relying on makeup to make your skin glow, then this product may just be the thing for you. Launched in July, this latest skincare promises to dramatically reduce the appearance of uneven skintone. Does it live up to these claims? Boast tri-optic technology (read: light reflecting particles and colour correctors) that diffuses light to gives skin an even and immediate luminous pearlescent sheen. The brighteners here work subtly to give you a soft glow, it's very natural looking without any sign of the makeup look. LIKE! Acetyl glucosamine helps fight and address pigmentation. Grapeseed extract, licorice and Scutellaria Baicalensis for anti-allergen, anti-inflammatory properties to calm, soothe redness and irritations prevent flare ups. Antioxidant cocktail of rosemary extract, apple extract, pomergrante juice, and Nordihydroguaiaretic a potent anti-oxidant to protect skin from environmental stresses. The ingredients in this product is indeed impressive. DOUBLE LIKE! Smells divine with a sparkling citrus note that refreshes and awaken, the slipperly fluid readily absorbs into skin with no stickiness or greasy feeling. In fact skin feels like velvet silk afterwards thanks to the dimethicone. The next morning after use, I genuinely noticed that my skintone is even and brighter, as if I’ve had plenty of sleep and am having a good skin day glow. Using it twice a day for 3 weeks, along with my 15% vitamin C serum, I have seen a dramatic improvement to the newer light pigmentation marks (they are no longer visible unless I squint closely to examine them). There is however, no visible difference to older pigmentation spots yet. Skin is hydrated (thanks to the hyaluronic acid), radiant, smooth to touch and very much plumped up after using this serum. My skintone is remarkably even around the eye (apart from the dread dark circles that I can’t get rid of) and fresh blemish marks fade within a week of use. I dare say my skin looks so radiant on it's own I've gone out bare-faced on weekends. Wanting to make sure it was the product that was giving me the bright glowy skin, I decided to stop using the product for a few days. Sure enough, my complexion started to show signs of dullness and sallowness after 4 days. Needless to say, I starting piling on the product again after that to maintain the my healthy glow. I've been very impressed with Estee Lauder this year, their skincare products just seem to get better and this latest one is by far my favourite daily serum. It does everything it claims to and gives me positively radiant skin. I will definitely be refilling when I finish my precious bottle. 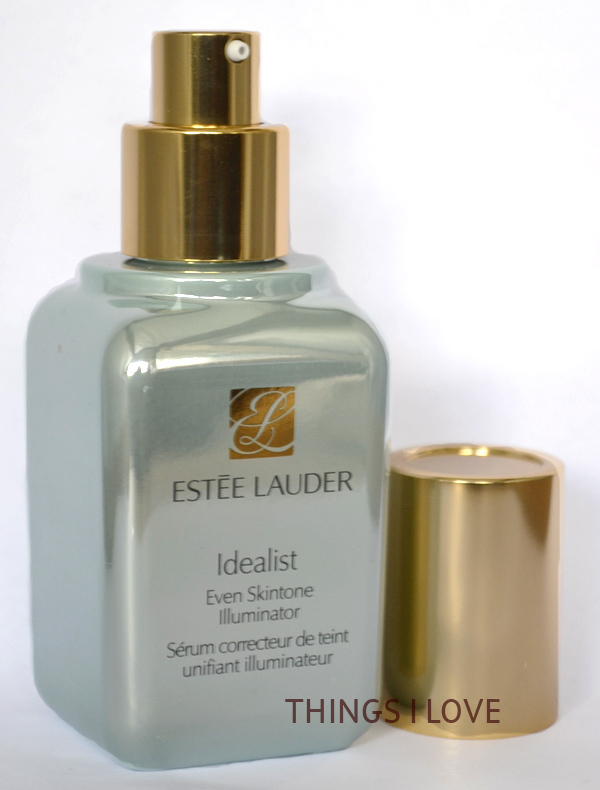 RRP A$105 30ml | A$150 50ml at Estee Lauder counters or online. Such a detailed review, thank you! I have a small sample of this but haven't used it yet. I definitely need some glow! Looks very interesting! I like the fact that the pearlescent sheen of the packaging reflects on the actual serum. @emmabovary - you must try out your sample straight away. You'll love it! I love your blog. And I am so glad I found it. Its informative and feel so lucky to learn from you. Thanks.